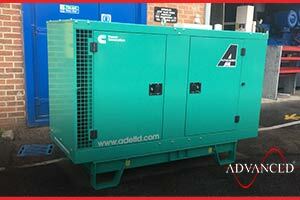 It is becoming nearly a daily event where Advanced ship at least one generator unit overseas. 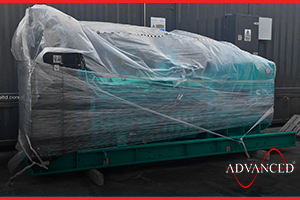 This Cummins 330 kVA open type Diesel Generator is being loaded for despatch to Iran. 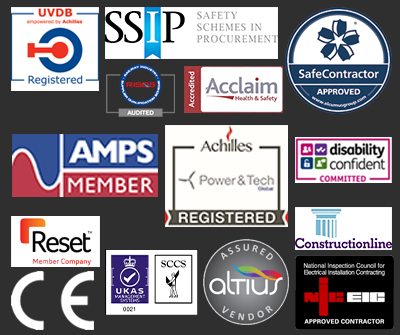 An Electrical contractor that we use on a regular basis was asked by another one of their clients to supply a generator. 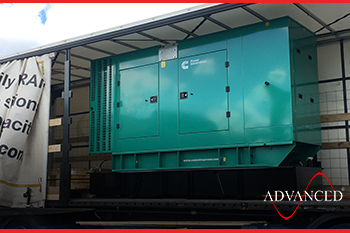 The client chose ADVANCED to supply this Cummins 220 kVA enclosed Diesel Generator shown being loaded ready for despatch to a large private residence near Stockport. 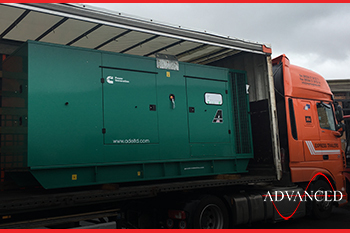 This Cummins 550 kVA Acoustic Diesel Generator is being loaded to transport for shipment to Malta, the generator will provide back-up power to a large storage warehouse. 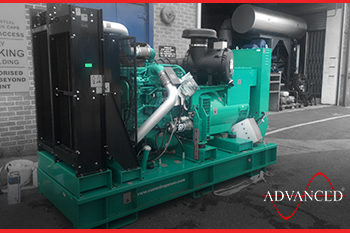 This Cummins 1400Kva c/w exhaust silencers is being shipped to a UK generator dealer, the unit will be fitted into an office complex plant room in London. 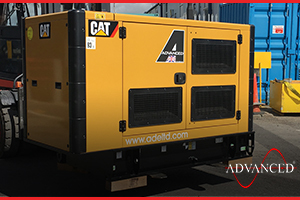 This Cummins 220Kva diesel generator with the ADVANCED manufactured extended base fuel tank is being loaded and despatched to Belgium. 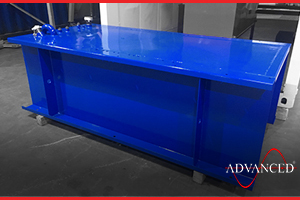 Another Cummins 33kva silent set – fitted with additional sockets and protection is shipped overseas. .
Our Fuel tank production bays continue to manufacture all sizes of tanks every day of the week. This one was supplied to a local generator supplier, they will fit the tank to the FG Wilson set while installing on site. 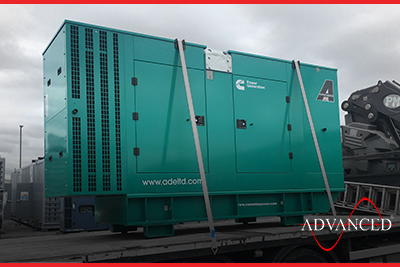 A Caterpillar 88 kVA diesel generator set being loaded for despatch to a metal fabrication business in Scotland. The machine will provide prime power for their workshop. A local frozen goods retail store is now able to guarantee the quality of their stock at all times. 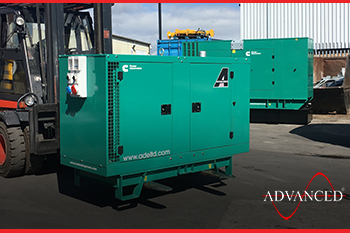 By installing an Enclosed 33kva Cummins diesel generator set the client is able to keep their stock in saleable condition while adhering to EHO standards in the event of a power cut. The unit will travel around the country at various events.